Condition: Good, original/contemporary hand coloring. Minor defects from handling, please study image carefully. Overall size: 62 x 55.5 cm. Image size: 50 x 46 cm. 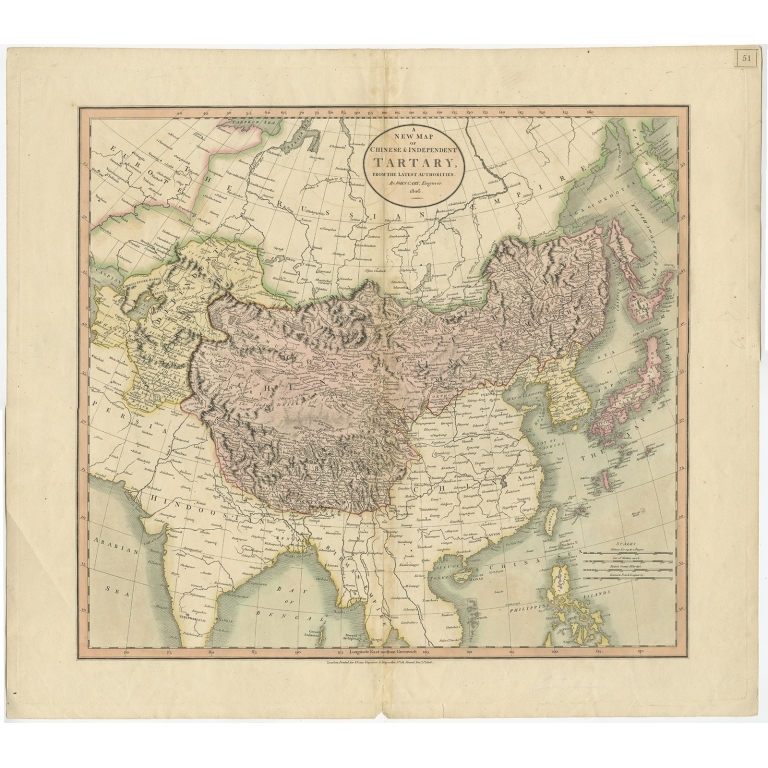 Description: Antique map titled 'A New Map of Chinese & Independent Tartary'. 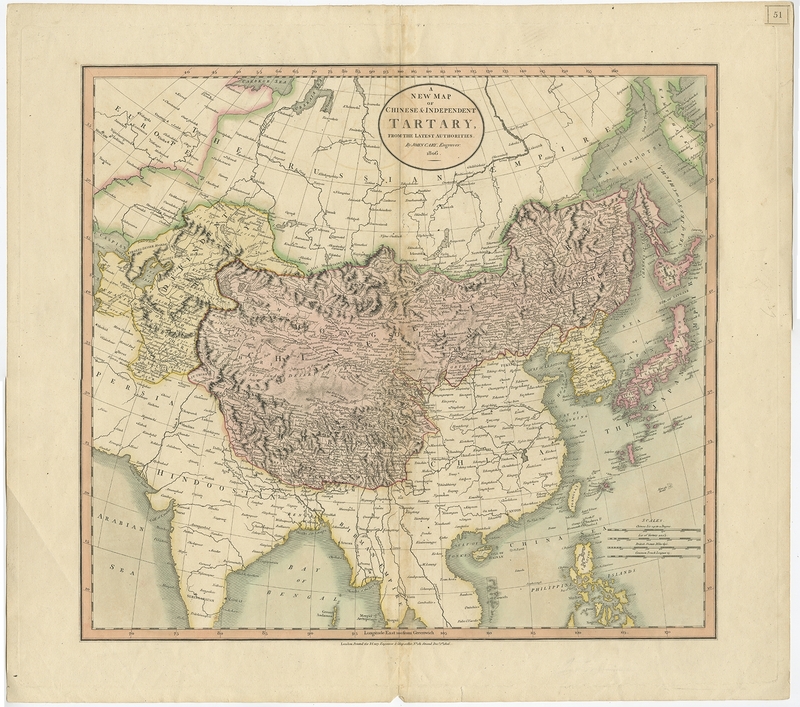 Beautiful map of Chinese Tartary, Corea and Japan. Artists and Engravers: John Cary (1755-1835) was a British cartographer and publisher best known for his clean engraving and distinct style which influenced the entire map industry.